Analysts say the rupee could fall further in the coming months as the key drivers of the fall -- widening current account deficit and the flight of overseas funds -- are more likely to persist than not. The Indian rupee made a partial recovery on Wednesday on the back of increased dollar selling by exporters, but the outlook remains gloomy. Various analysts have said the rupee could fall further in the coming months as the key drivers of the fall -- widening current account deficit (CAD) and the flight of overseas funds -- are more likely to persist than not. According to HSBC Global Research, the INR could drop to 76 against the dollar by the end of 2018 and to 79 by the end of 2019. The note says that the INR is the fourth worst performing currency in the emerging markets region. The report says that the current account deficit is poised to expand to $75 billion in April-June, hitting 2.8 percent of the GDP. "And the risk is for a higher deficit, since the underlying assumption is that the Brent oil price averages $75 per barrel in FY2019 (which requires oil prices to stay around $73 per barrel for the next six months—a tall order) and since India's oil demand may become less price elastic as the government is now trying to limit the pass-through of high oil prices to consumers." The government has taken measures, such as raising import tariffs on several electronic items and communication devices, in order to arrest the rupee fall. The RBI has also intervened in the money markets to prop up the faltering currency. On Wednesday, the rupee touched a 2-week high of 73.41 against US dollar. Meanwhile, research analyst Rushabh Maru at Anand Rathi Shares and Stock Brokers said the rupee may drop to 75 against the dollar by the end of October or mid-November. "For 2018-end, the rupee may touch 77 levels and by end of the current financial year the rupee may weaken to 80 levels," the Financial Express cited the analyst as saying. A more sombre outlook came from Marc Faber, editor and publisher of The Gloom, Boom & Doom Report. Faber was of the view that the rupee would plunge to 100 against the dollar over the next few years. "Either India has to increase interest rate meaningfully or has to let the rupee depreciate over time," to avert such a drop, Faber told ET Now. According to the Business Today, Marc had said in March that the Sensex was bound to correct a whopping 20 percent in the next six months. That sounded too ominous and hard to believe but Sensex has seen drastic crash over the last month. 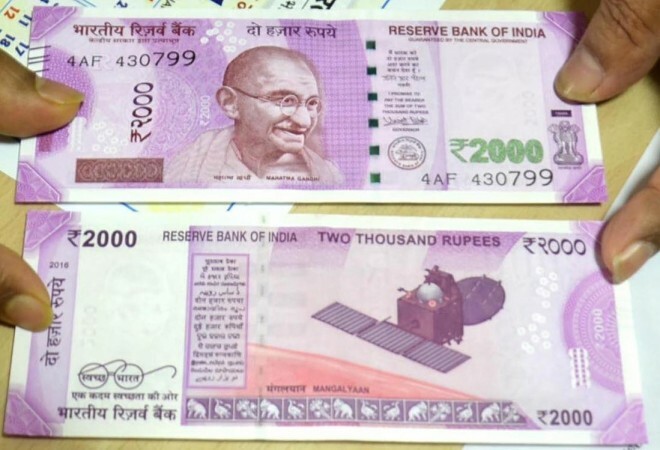 Indian rupee could depreciate 5-10 percent annually over the next few years and eventually hit 100 levels, Faber said, adding that the fragility of financial markets is worsening. While the expatriates and the exporters might find the rupee depreciation favourable, for regular Indians, the downward spiral is adding further layers of misery. Home loan EMIs have risen, with banks such as SBI, ICICI Bank, Punjab National Bank and HDFC, hiking the lending rates. With the rupee weakening, credit for business will become dearer, leaving an impact on corporate profits and on share prices, by extension. A whole gamut of FMCG and other consumer goods will be costlier too. In addition, foreign education and foreign travel will also become costlier. Even the prices of pulses and edible oils will go up. Continued fall in rupee will make a whole lot businesses that depend on imports vulnerable as well. And soon the job markets will feel the pinch as well. There will soon be price increases in automobile sector as well, and the prices of all electronic gadgets, mobile phones etc, wherein imported materials are used, will go up.